Recently Stephenson Personal Care posted a link on their Facebook page to #AOLetsSoap competition. 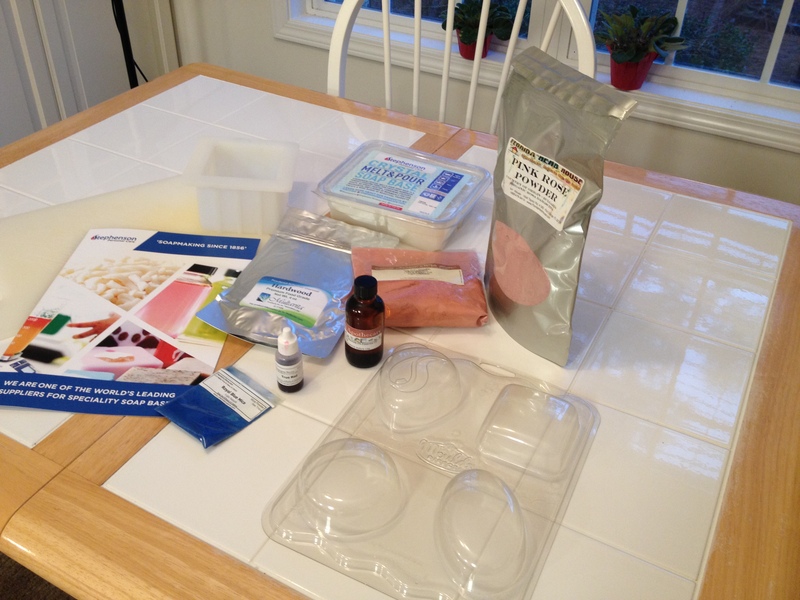 Of course I was intrigued – I always love a competition – so I popped over to the AO at Home site (http://blog.ao.com/how-to-make-soap-and-win-prizes) and signed up to participate. 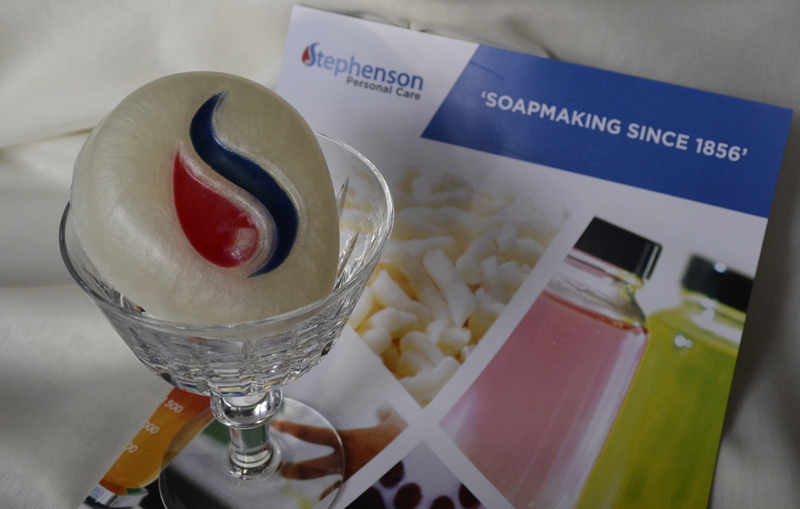 It was not long until I received a package from Stephenson with a two pound package of their natural high foaming soap base to use for the project. 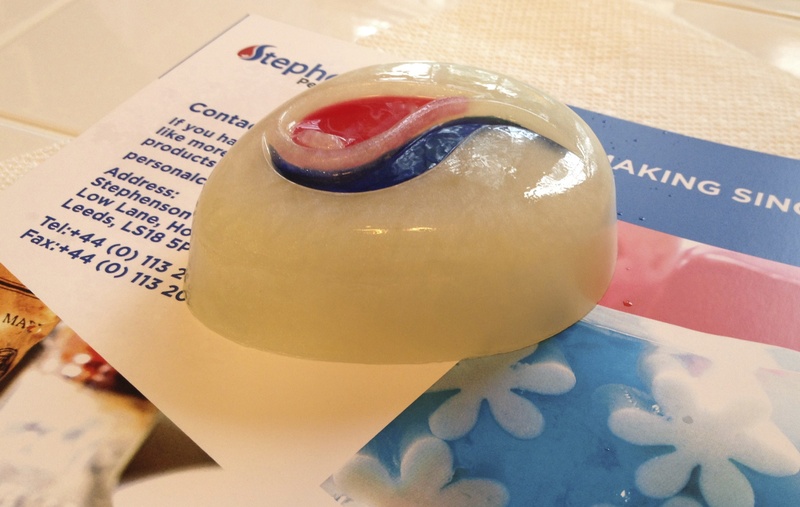 Not only that, they also included a mold. I was so happy about receiving the surprise mold that I decided I would use the cavity that has their logo and try to match their logo colors. The detail of their logo is indented rather than pushed out so I couldn’t just pour the colors into those sections. 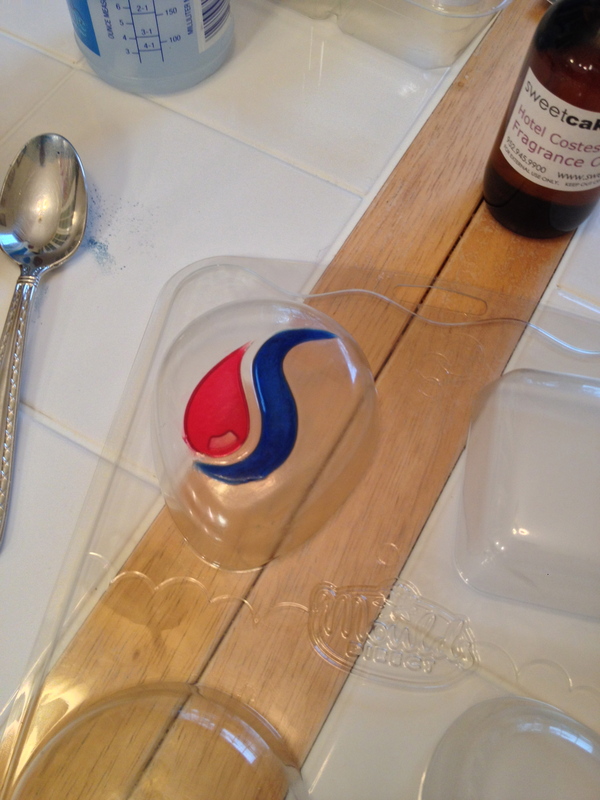 I had to pour the red and blue on the outside of the mold, then remove it and place it in the cavity part of the mold. 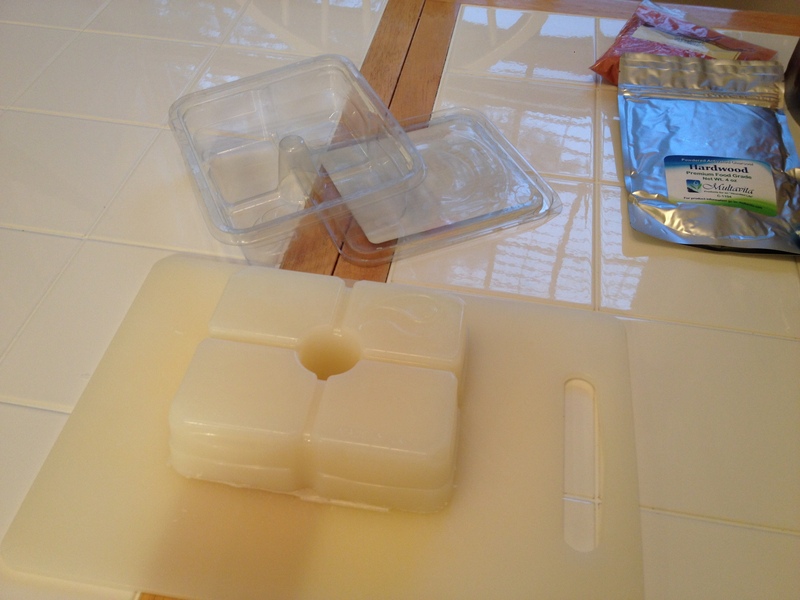 To make this part easier, I put the mold in the freezer for a few minutes to harden the soap. 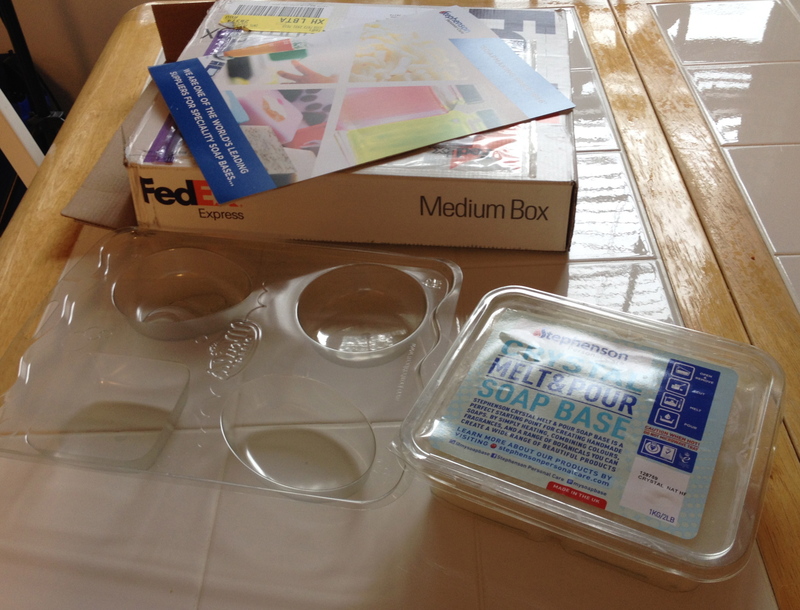 Here I have placed the soap pieces inside the mold. 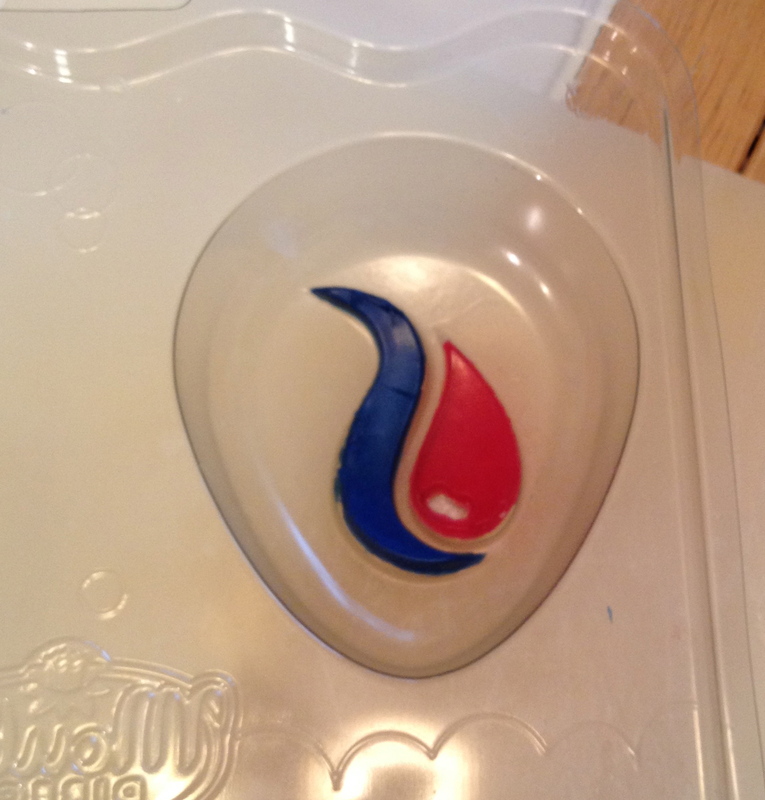 And the finished logo soap. 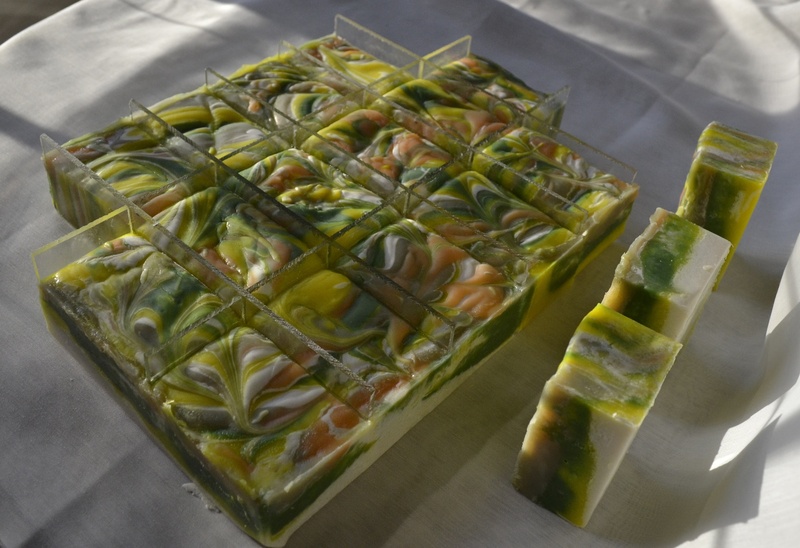 Now for the soap I had planned to make for the competition. 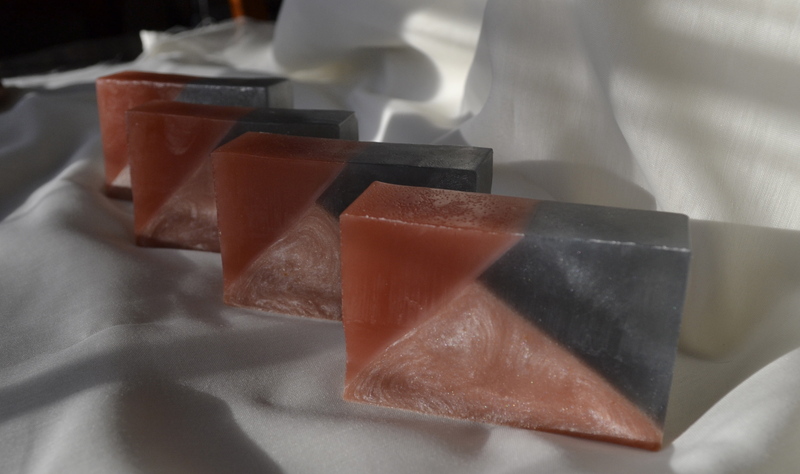 I love the combination of clay and charcoal in soap and I often make charcoal and sea clay (or Dead Sea mud) soap for my facial bar. I have some rose clay and rose pedal powder that I wanted to try with charcoal. I also decided to splurge and use my Rose Absolute essential oil. I think pink and grey is such a pretty color combination. I gathered my ingredients. The first layer is rose clay. 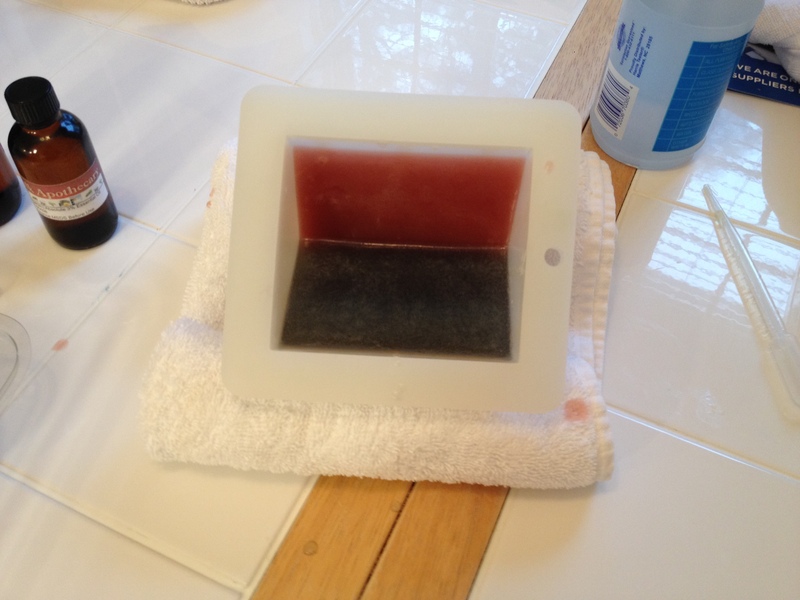 I dispersed it in alcohol to make it easier to mix into the soap base. Not the shade of pink I was looking for but an interesting color. After that layer set up, I prepared the next section by dispersing some activated charcoal in a little alcohol and poured that layer. 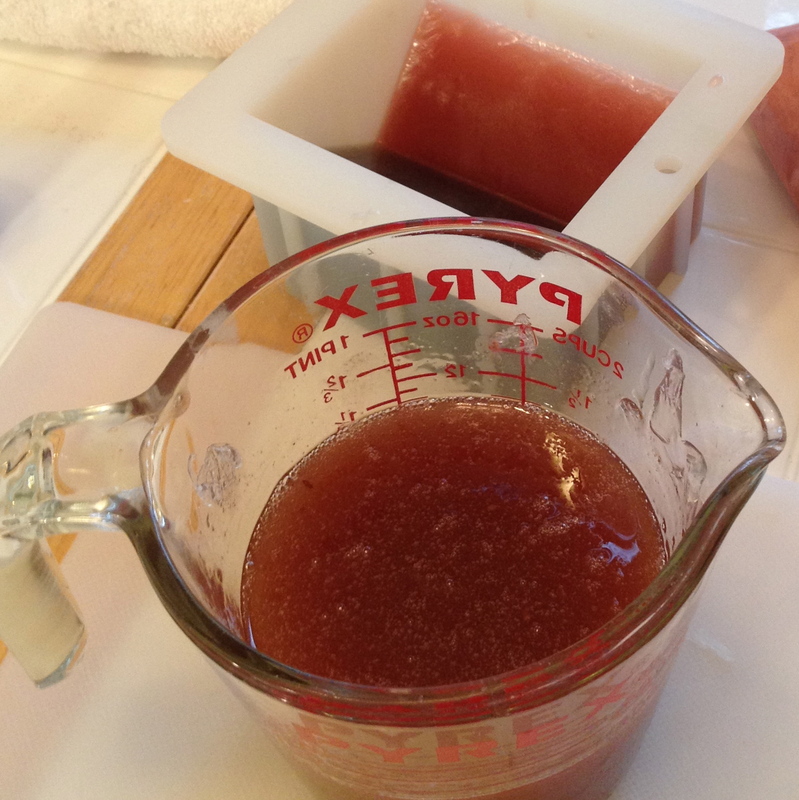 The final layer is the rose pedal powder. 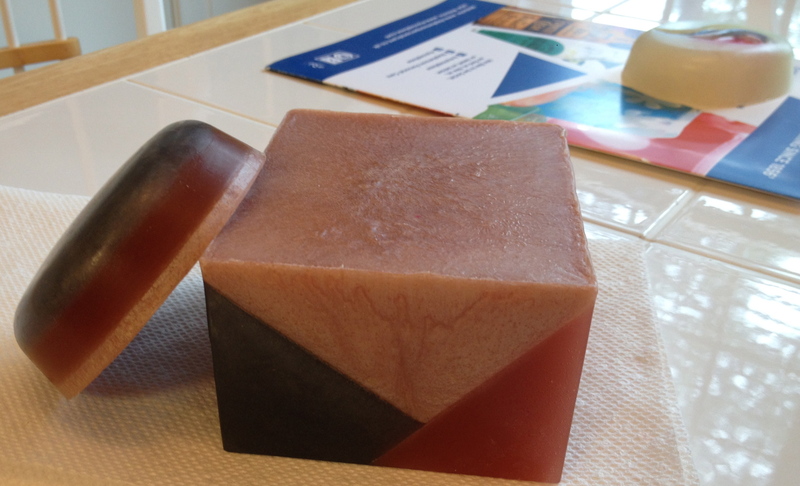 But as you can see, it looks just like the rose clay. So to get the contract I wanted, I added some pearly white mica to this part. It was still a little brown looking. I added just a little rose mica. 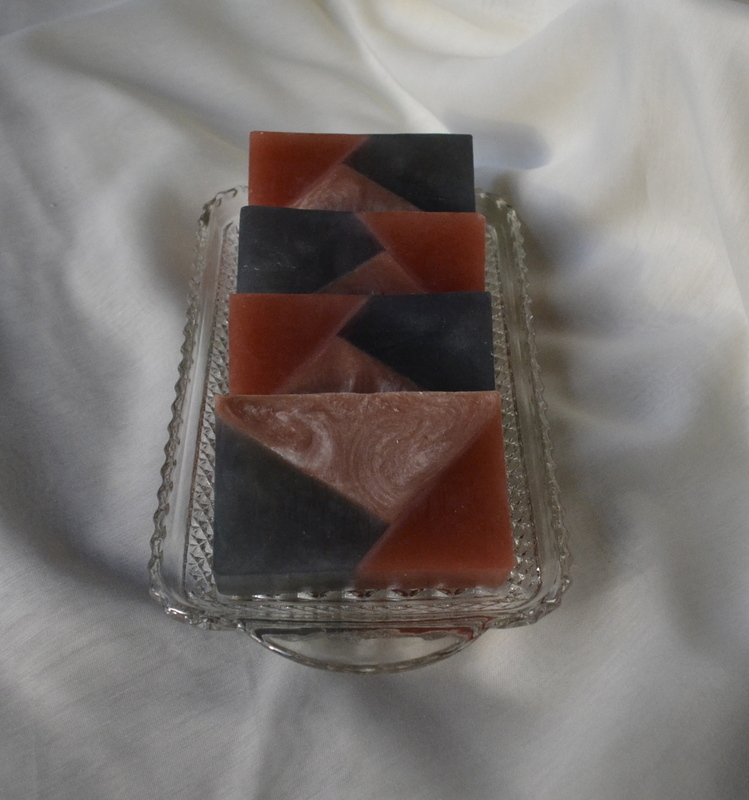 The combination of micas gave that part of the soap a lovely swirled look. While I didn’t get the pink that I expected, I really, really like this look. 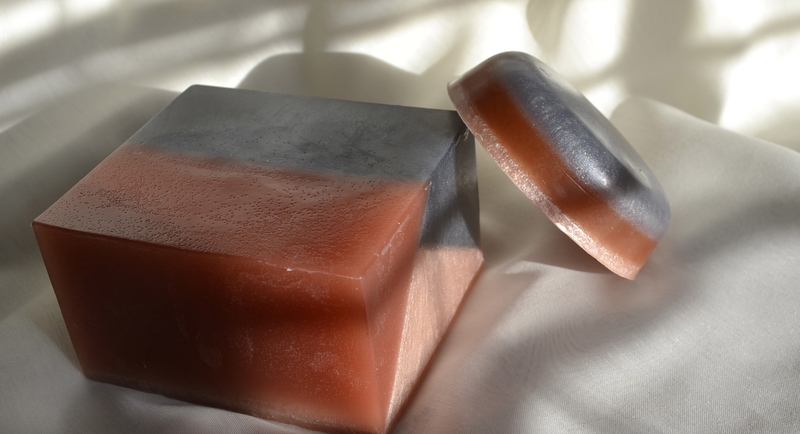 The best part is the soap base is wonderful — it is a natural base that is sulfate free and it produces lots of suds and leaves my skin feeling moisturized. Thank you AO at Home and Stephenson for sponsoring this competition. I will definitely be ordering more of this base. This entry was tagged #AOLetsSoap. Bookmark the permalink. I think the resulting colours are perfect and love the unusual effect.